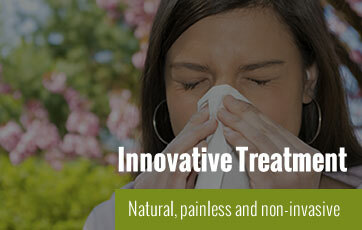 NAET is an innovative treatment for allergies that is completely natural, painless and non-invasive. An allergy is a condition of unusual sensitivity to one or more substances which may be harmless in the majority of individuals. Conventional medicine’s standard treatment is drug therapy using antihistamines or steroids to control allergic symptoms. Unfortunately, this does not correct the underlying problem and often can cause long-term side effects. The NAET treatment stimulates pressure points along the spine, and specific acupressure points are massaged while the patient is holding an allergen. Allergens are treated and cleared one at a time in a specific sequence. NAET is a revolutionary solution that provides relief from adverse reactions to allergens and allows the individual to live a better life and to reach optimum health. For more information about this treatment go to http://www.naet.com. Tuesday Appointment only at Senders Pediatrics, call Senders for appointment, hours 12:30 - 7:00 pm. Wednesday: 7:30 a.m. - 4:00 p.m.
Friday: 7:30 a.m. - 11:00 a.m.